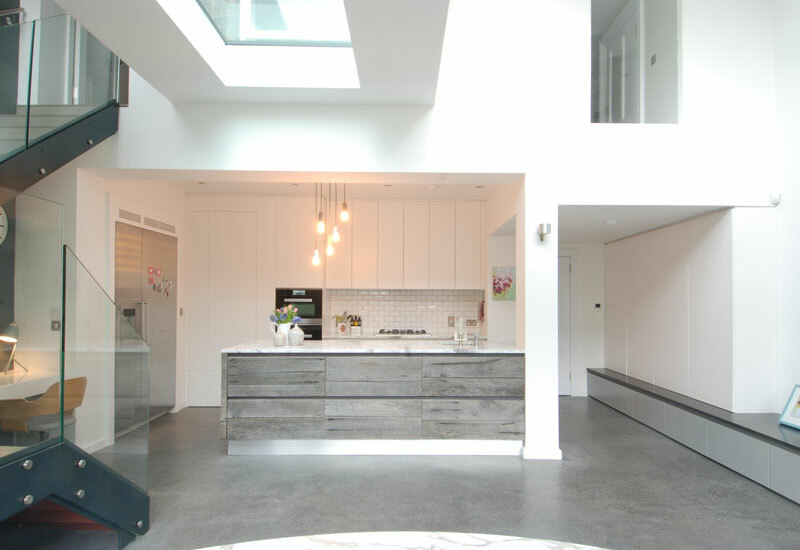 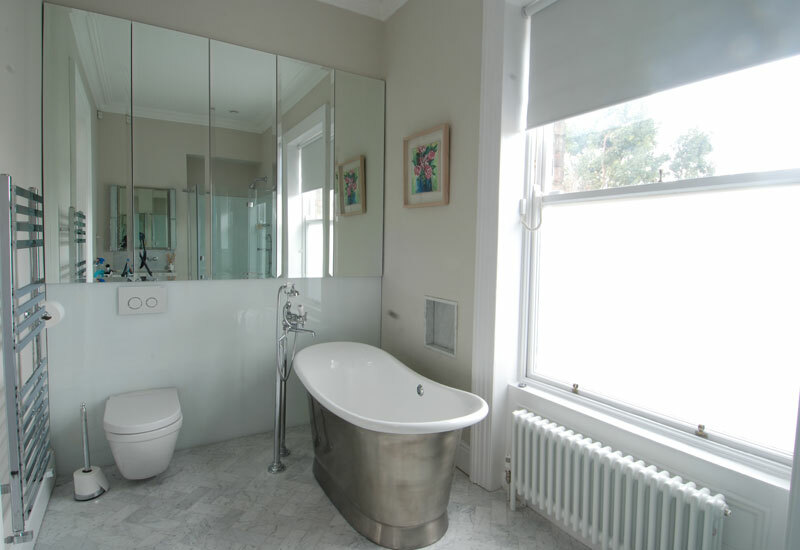 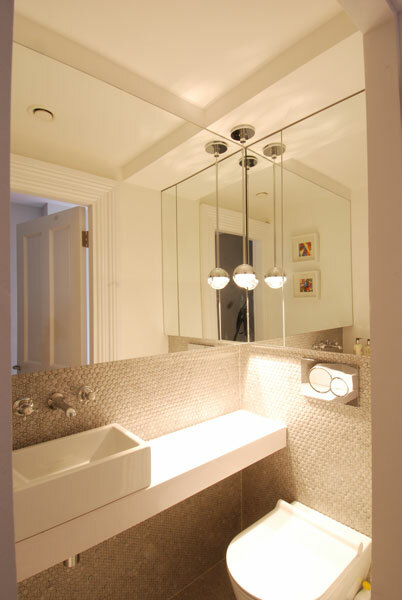 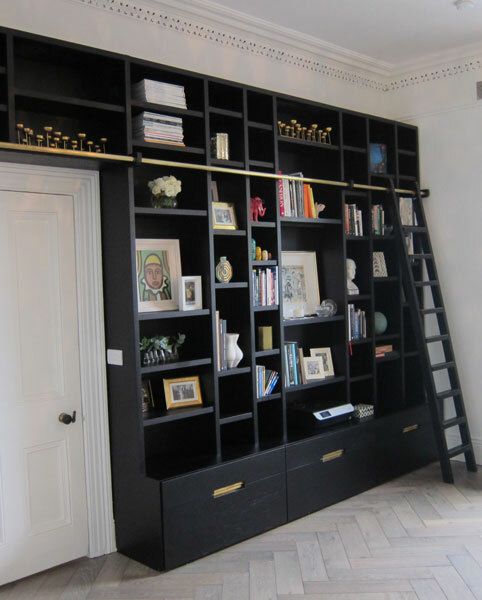 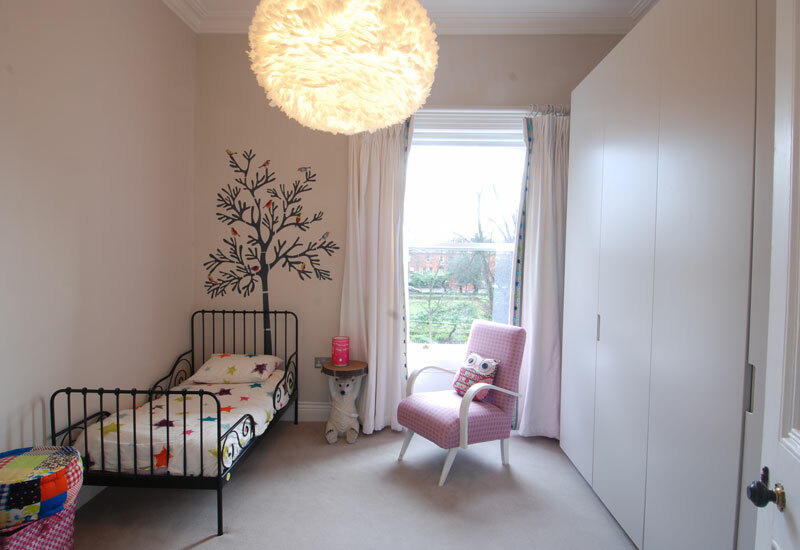 This project focused on the careful restoration of the Victorian home with the integration of a new open plan double height ground floor extension that seamlessly connects the old and new spaces on ground level and 1st floor levels. 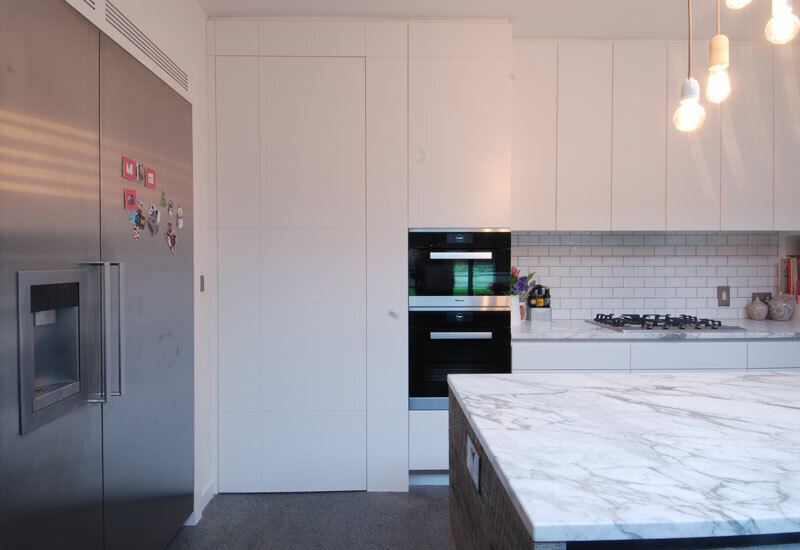 A new large open plan kitchen-living-dining space is designed with equal proportions to each of the 3 functions lending the space to become, less kitchen and more general living and entertaining space. 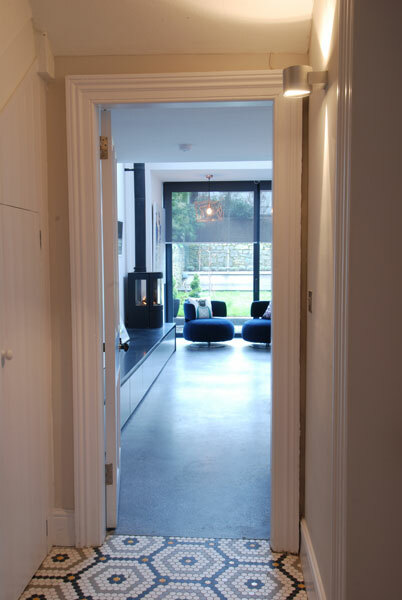 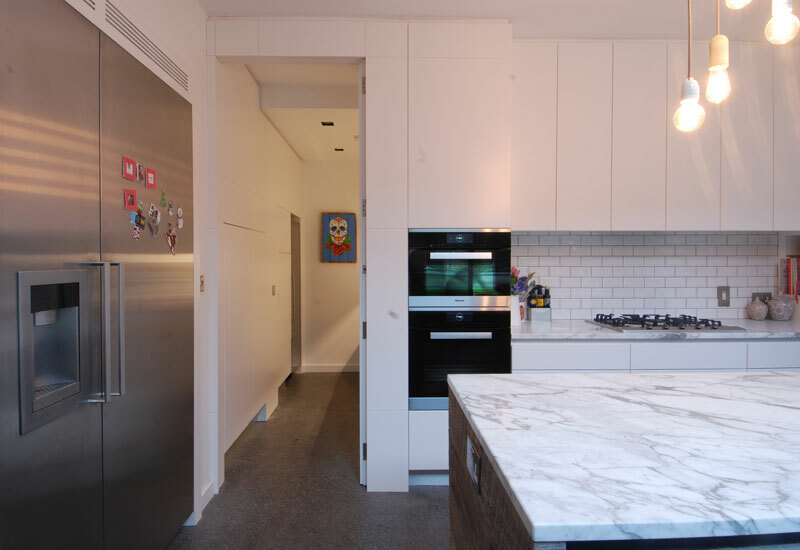 A hidden door to utility space and floor to ceiling tall units helps conceal some of the functionality of the kitchen and allow the kitchen to remain in proportion to the overall room. 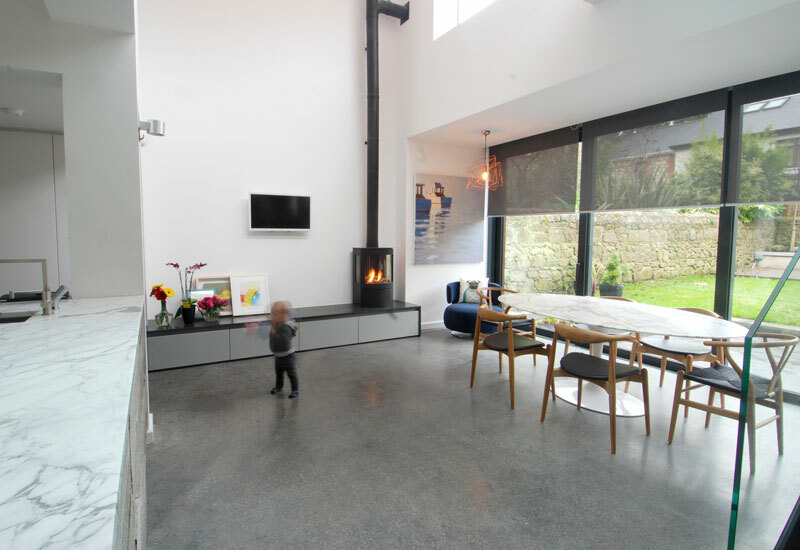 Material selection and craftsmanship help make secret the integrated storage in the kitchen with more natural focal points on fireplace, the dining table and the unobstructed view to the garden. 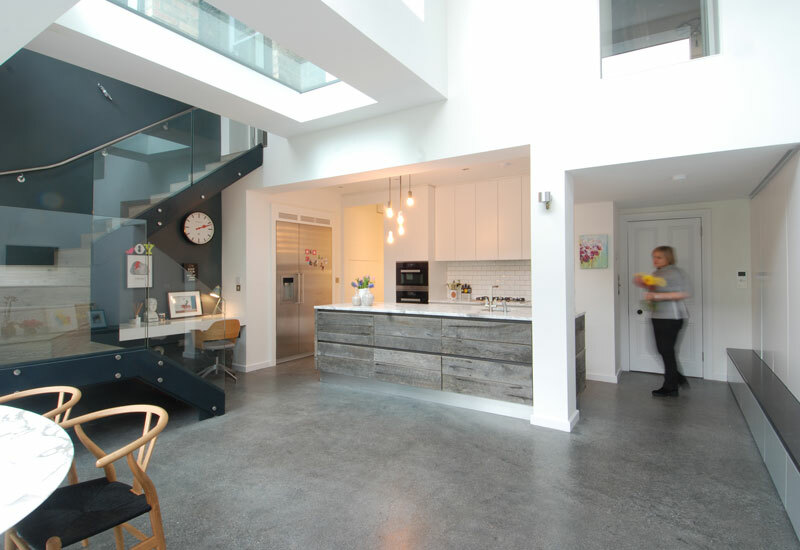 Spray painted doors, reclaimed sun bleached oak island cladding, and white marble worktops work together with the concrete floors and exposed steel stairs for a contemporary light filled space with warmth, texture and sense of calm.